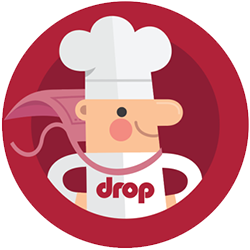 Drop — Why doesn't Drop Scale work with iPad 1 and 2? First of all, if you've bought or been gifted a Drop Scale and tried to connect to the app unsuccessfully using an iPad 1 or 2 or an iPhone model earlier than 4S, we apologize if the incompatibility with these devices wasn't communicated clearly enough. The Drop scale connects to iPads and iPhones via Bluetooth 4.0 Low Energy (BLE). Apple started using this type of Bluetooth for all iOS devices with the releases of iPhone 4S and iPad 3 and it drastically improved upon power consumption, data rate, security, pairing reliability, and speed. Devices older than the ones mentioned above use what’s commonly referred to as Bluetooth Classic and they are, due to limitations in this old Bluetooth technology, not compatible with Drop Scale. For example: since the Drop scale is battery-powered, it is of utmost importance to use the most energy-efficient technology. Without Bluetooth Low Energy, a battery-powered device would need to have its battery replaced weekly, instead of yearly, and that would just make it way too costly for the end-user. If you have any additional questions on this matter, please let us know and we'd be happy to help.